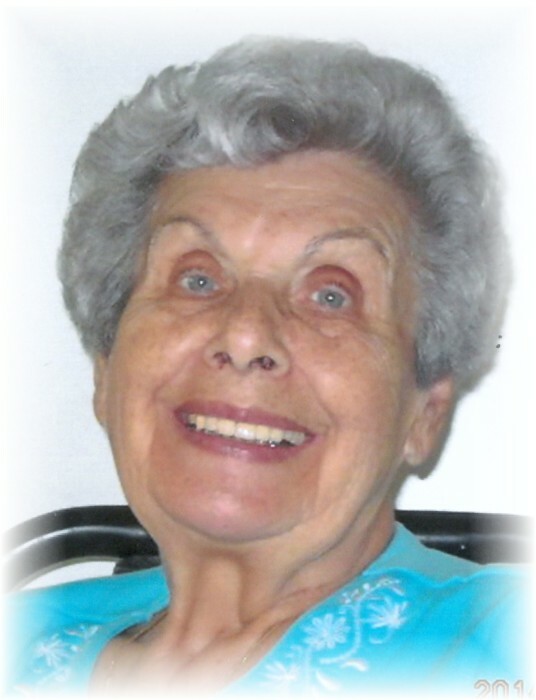 Peacefully, at Holy Family Home, Anne Kulyk (nee Storozuk) – devoted mother, grandmother and great grandmother, “Baba Anne” was called to her eternal rest on Wednesday, April 10, 2019. Mom is lovingly remembered and sadly missed by her children, son Walter (Alice), grandsons Christian (Tamara), Andrew (Jody) and Benjamin (Ashley); son Taras (Laura) and granddaughter Andrianna; and daughter Marianne (David) and grandson Aaron (Teara), granddaughters Amber (Greg) and Sara; great grandchildren Lacey, Cooper, Layla, Jaxson & Brooklyn; numerous Godchildren and dear friends. Anne was pre-deceased by her parents Nicholas & Maria Storozuk; and her husband of 54 years, John, in 2005. Anne was born in the village of Melnycha in Western Ukraine and immigrated to Canada with her mother Maria in 1934 and re-united with her father Nicholas. She became a hairdresser in 1950, and that summer she met the love of her life, John Kulyk, at the UNF Hall. They were married at Sts. Vladimir & Olga Cathedral on June 2, 1951.The young couple settled in Transcona, when John furthered his education to become a hairdresser - joining his wife Anne in doing something they both loved doing together everyday. Eventually, they successfully operated two beauty salons a few blocks apart. Later in life, she continued doing hair at her home, but her true passion was cooking, baking and making the best perogies. When she wasn’t doing hair or making perogies, Mom and Dad enjoyed listening to Ukrainian music, doing crafts with ‘pysanky’ and taking annual winter vacations to Hawaii and California with friends and “kooms”. Anne always took great interest in her children, grandchildren and great grandchildren and was very proud of their accomplishments. Mom cherished her Ukrainian culture and heritage and her church. She was an active member of the St. Michael’s Ukrainian Catholic Women’s League and very involved in parish activities. Mom was a caring, compassionate and generous human being. With her gentle smile, a kind word of welcome, her unique sense of humour, Baba Anne could always be counted on to help with anything, anytime, anywhere, anyone. Her good nature and warm heart made the people around her happy, and that made her happy in return. Special thanks to the compassionate staff at Holy Family Home and Dr. Andrea Babick for their care over the years and especially the third floor team. The Funeral Service/Parastas will be held on Tuesday, April 16 at 11 am. at Korban Funeral Chapel, 907 Main Street, Winnipeg, with Rt. Rev. Msgr. Mitrat Michael Buyachok and Fr. Isidore Dziadyk, OSBM, officiating, as Mom requested. Interment to follow at Holy Family Cemetery. Pallbearers will be her grandsons: Christian, Andrew and Ben Kulyk, Aaron Berthelette, granddaughter Dr. Andrianna Kulyk, and great granddaughter Lacey Kulyk. Flowers are respectfully declined. Family and friends so wishing may make a donation in Anne’s memory to the Lubov SSMI Foundation’s Life Love Legacy campaign to expand Holy Family Home.